The ramparts of Aguilar and its six semi-circular towers give the hill a both powerful and graceful appearance. Built at the end of the 13th century and the beginning of the 14th century to reinforce the original outer wall, this ensemble gives the site an almost organic shape and provides it with strong, active defences. The six towers of the outer wall are spread out along the curtain wall, depending on the weakness of the land. Their semi-circular structure, "open at the throat", means that the castle's occupants, sheltered by the inner wall, can watch them. There's nowhere for an attacker to hide. The inner wall replaced the original, twelfth-century wall, and overlooks the inside of the castle. Spread over an inner courtyard, it consists of the castle owner's rooms, a tower, a cistern etc. Notice the royal innovation opposite the most vulnerable point of the hill: the wall becomes up to 2.8m thick and takes the form of a spur, capable of breaking any missile. In the prickly heathland with summer smells, the remains of the fortified village wall remind us of life here. The houses lie on different levels on the terraces, under the welcoming hillside where St Anne's Chapel is located. 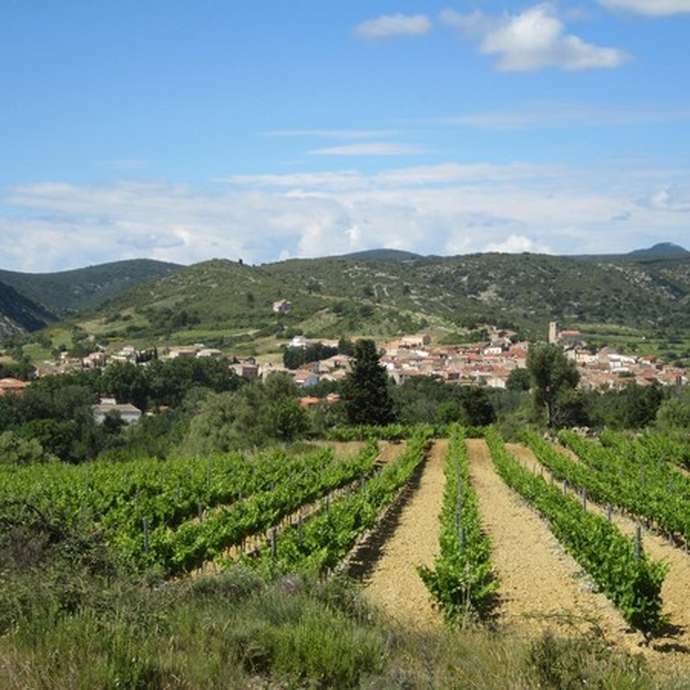 From Tuchan, a short 6km walk will take you though vineyards and heathland to Aguilar Castle. In the heath, there are many box trees, as is common in the Corbières. This well-groomed bush in French formal gardens is left to grow free. Its white wood, smooth and shiny after polishing, is used to make knife handles, chess pieces, canes, and parts of musical instruments, such as the flute and clarinet. Shown to reduce fevers, box wood is also used against rheumatism or smallpox. 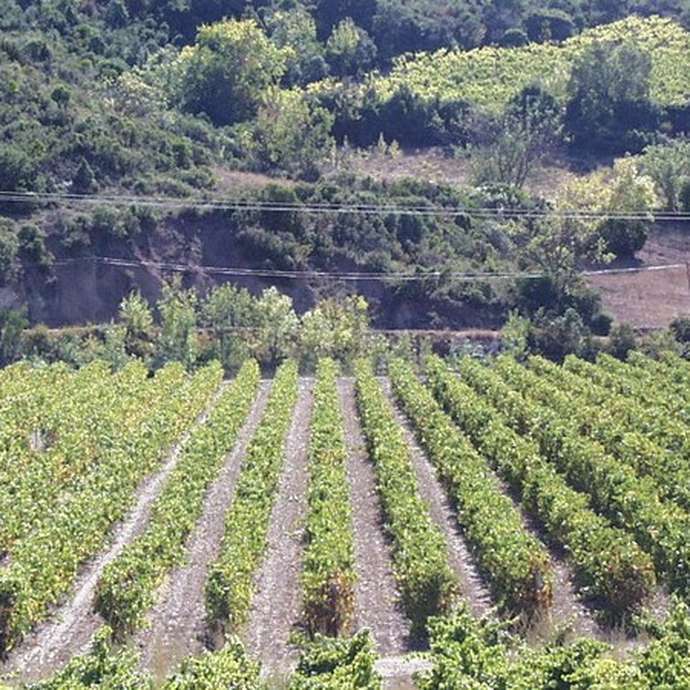 Nine villages produce Fitou appellation wines (protected designation of origin), including Tuchan and Paziols, which are the closest to Aguilar Castle. These characterful, rich and complex grape varieties, are indicative of a land between the mountains and the sea. Numerous wine-tasting cellars are open to the public. 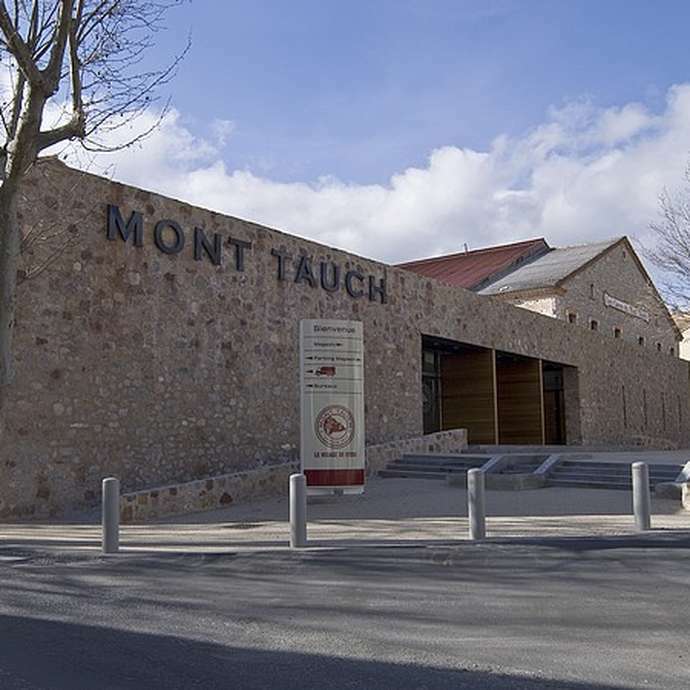 In the Mont Tauch cooperative wine-tasting cellar in Tuchan, you can try the Fitou and Corbières appellation wines and the sweet Rivesaltes wines. 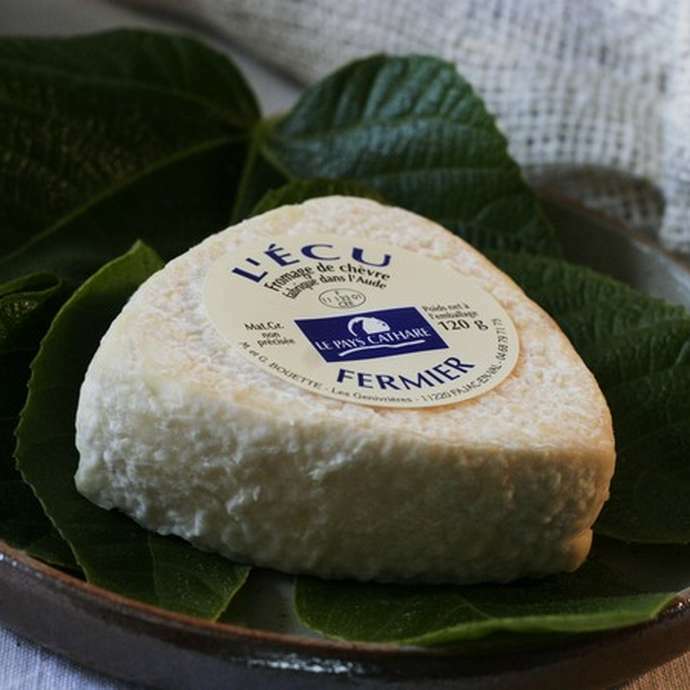 Committed to sustainable farming, these wine-growers fully support the nature reserve. This small village in the Eastern Pyrenees is internationally renowned for its climbing area. A huge limestone cliff offers climbing-lovers over 300 pathways overlooking the magnificent vineyard landscape of the valley of Vingrau. 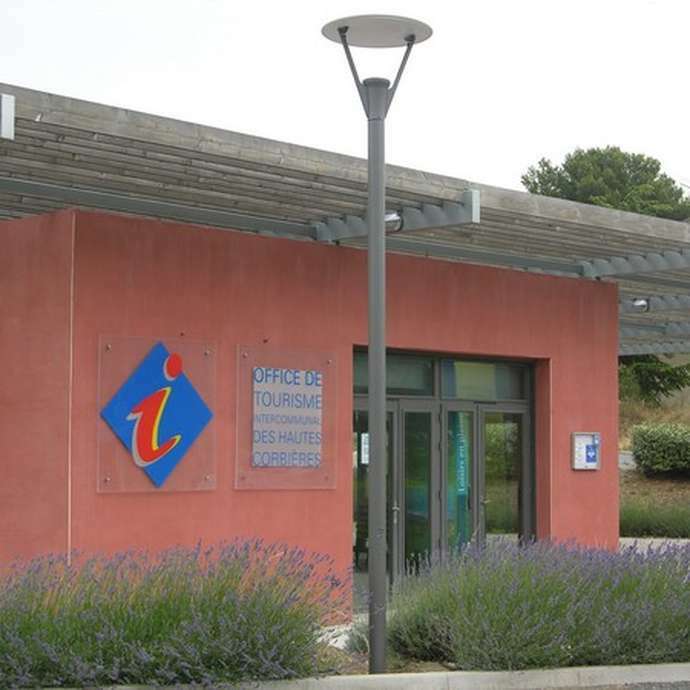 The village is also the starting point for a hike across the crests of the Serre and the Pas de l'Escale, offering exceptional views over the plateau of Tuchan and Mont Tauch, the sea, the Albères and the Canigou. The Vingrau heathland is renowned for its diverse flora and fauna. Mont Tauch, with its 'rectangular' shape, can be seen from miles around, overlooking the plain of Tuchan and all of the Eastern Corbières. It's an outstanding viewpoint that tops the Geographer Tour. From April to June, the small violet 'spéculaire en faux' flowers brighten up the sides of the mountain. At the top of this nature reserve are fifteen wind turbines, where a royal eagle soars overhead. 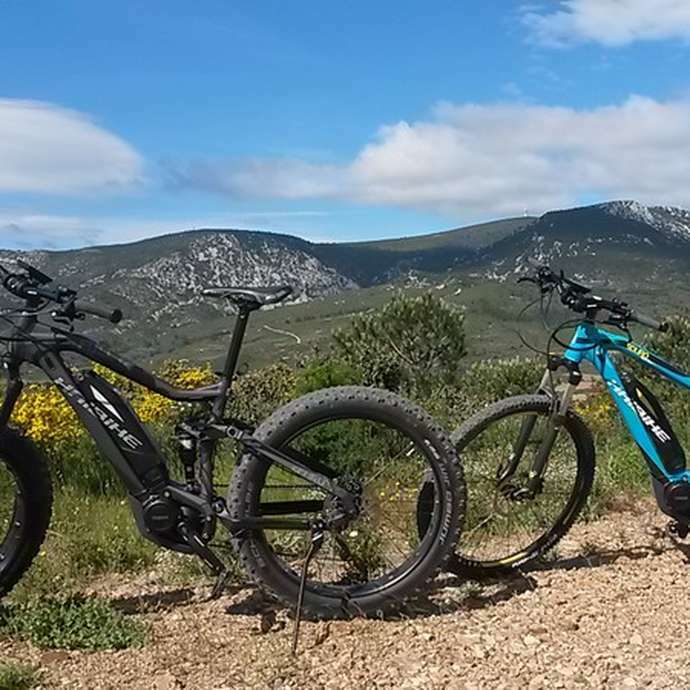 A few kilometres from Padern and Montgaillard is a superb walk along the Sarrat de Germa trail, which lets you get up close to the former mines. Mining in Corbières dates back to Antiquity and continued until the middle of the 20th century. The two pits in Montgaillard were mined for lead and copper ore. The walk also gets up close to the Tistoulet pits, where barytine, malachite and azurite were mined. At the end of 1250, the construction site of Peyrepertuse received crushed tiles from Aguilar, which were used to make the sealant for the cisterns - made of crushed tiles, vinegar and lime. The water in the fortresses was used for cooking, washing, animals and also in building sites - making mortar for example. The cisterns were used to store large quantities of water, particularly useful during periods of conflict, when there were more people living in the castle. Rainwater was collected from the roofs and terraces, and transported to the cisterns via ceramic or lead pipes, before being filtered. To make sure the water didn't leak, the cisterns were covered and carefully sealed. Whether dug in the ground or built, round or rectangular, cisterns are always carefully designed and maintained constructions.